The holidays are here, which means you're probably busier than ever closing out the year for your business, planning and working like crazy to get ready for 2019 - not to mention all the events you have planned with family and friends. It's a miracle if you've completed holiday shopping (and if you have - you're our hero!). We took the liberty to round up our favorite gifts for the #bossladies on your shopping list and/or the gifts you should be gifting yourself to be set up for a stylish, productive, and game-changing 2019. What better way to stay organized and stylish at the same time with the help of Mark & Graham's Leather Tech Envelope? This "envelope" is a great way to store and organize all of your tech essentials. It comes with multiple pockets and pouches to fit your cords, cables, phone, tablet, and... I'm sure we could come up with some other uses for these compartments. It also comes in 2 sizes and 4 different colors, so good luck choosing which one you want the most! Sure, we have iPhones and 1,000 other apps and gadgets to keep our calendars in order, but are they as beautiful, inspiring and supportive as a band.do annual planner? These boys girls feature awesome illustrations, stickers (it's ok to be above the age of 13 and still love stickers), compliments (yes, you read that right), to-dos and so much more! Make your days look less scary and more fun with these amazing planners! While you're planning out 2019 with your new planner, don't forget to pencil in January 9th for the EQBW Summit in West Palm Beach, Florida. If you have your ticket already, the EQBW Summit is a great gift to give to another Boss Lady in your life. Get your tickets while still available. Even a Boss Lady needs affirmations! That's why we love this book. Badass Affirmations by Becca Anderson offers perfect reminders on why we do what we do - even when we're going through those days that have us asking why...hello all equestrians who are having a bad day! 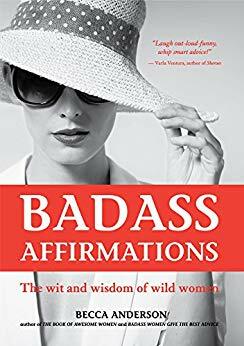 This is a book that all Boss Ladies and equine enthusiasts should have and share with others - because we could all use a little reminder here and there! What further encouragement do you need to be inspired and productive than caffeine and a Boss Lady coffee mug? This super fancy mug can hold 16 ounces of yummy "You Can Do It Juice" that will have you feeling like anything is possible. Need something stronger than coffee? We've got you covered. This wine glass will put a smile on your face whether you're coming back from a long day at the barn or at the office. We don't typically like when we're being talked back to, but we'll make exceptions for this Dash Alexander Girl Boss Wine Glass. Cheers! Going places? You don't want to be late because you can't find your keys. That's why Perri's Leather Keychain with Plate is the best gift. Not only does this keychain look amazing and remind you of your beloved horse (or other pet), but it's easy to find since you can hang it on almost anything, and is easy to feel/find when you're clawing through your bottomless purse! Make finding your keys easier and stylish with Perri's! 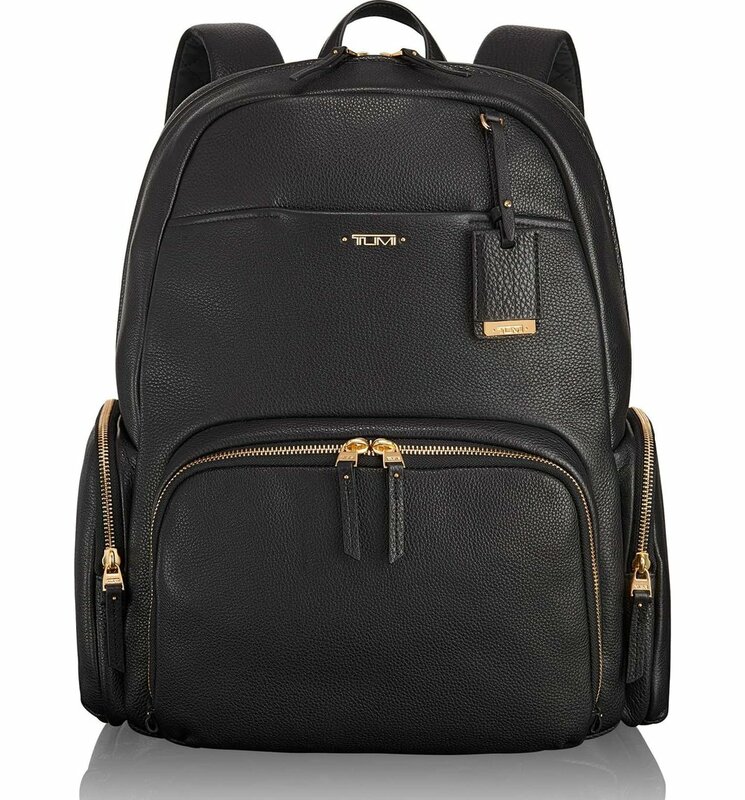 If you're on the "nice list" and are looking for a splurge, we are obsessed with Tumi's Voyager Carson Leather Backpack. It's perfect for carrying your laptop and other key essentials without straining your back or sacrificing style. It comes in various colors and fabrics and has us re-evaluating the power of a "backpack." As a Boss Lady, focus is essential! So treat yourself to these amazing BOSE QuietComfort 35 Wireless Headphones II with Google Assistant. These headphones have it all - it eliminates noise and distractions, is wireless, and has Google Assistant built-in (now that's a #powermove). Hurry and buy it now on Nordstrom while it's listed as 10% off (as of 12.21). And last, but certainly not least, if you are attending the EQBW Summit in January, you're about to do a ton of networking. Come prepared with a stash of business cards and a stylin' card holder that will not only keep you organized, but also make for a great conversation starter. We're loving this C.R. Gibson Goal Digger Metal Business Card Holder.